Life at an advanced age can be a lonely one, especially if your friends are spread throughout the country. You may not have the opportunity to see or be with them as often as you would like. However, this does not mean you have to go through life alone. 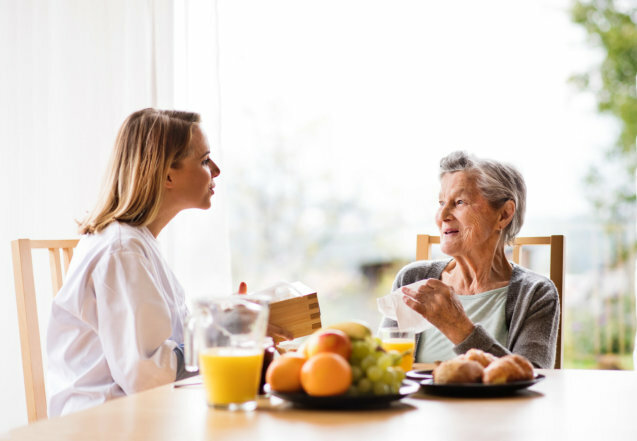 Ontime Home Health Care Staffing Agency LLC offers exceptional Personal Care Services in Cleveland, Ohio that includes companionship. Here is how you can continue living life with a companion by yourself. Companionship Services: A major service that we offer as a Health Care Agency in Ohio is companionship. This service is more than just caregiving but rather it is offering you the hand of friendship. When you choose to let us become your companion, you are forming a friendship with someone who is willing to be by your side no matter what. We can do many things for you with these services from simply talking to you to joining you wherever you go. Reduced Stress: One of the perks of our companionship services is the reduction of stress you feel. You can focus on what you enjoy in life because we are here to help you every step of the way. We can play games with you, have in-depth conversations, or even take you to the places you want to visit around town. With us being here for you helps reduce your stress. Helping Hand: Not only can we do numerous fun things with you but we can help you with your day-to-day life. This so you do not have to worry about the small things because you can count on us to handle it for you. We can assist you with just about everything in and out of the house. We can help you get around, help you clean up the house, or even make sure you do not fall. Our companionship services can help improve your quality of life, so you can continue living the lifestyle you enjoy, on your own terms. After all, life is too short to struggle with the trivial things. Allow us to help you seize each and every single day. This entry was posted in Senior Care and tagged Companion, Helping Hand, Stress. Bookmark the permalink.